KuKu Connect members will receive 10% off the list price. Roses are a massive part of Valentines Day, they are elegant, long lasting, beautifully soft, wonderfully scented and have come to symbolise love. 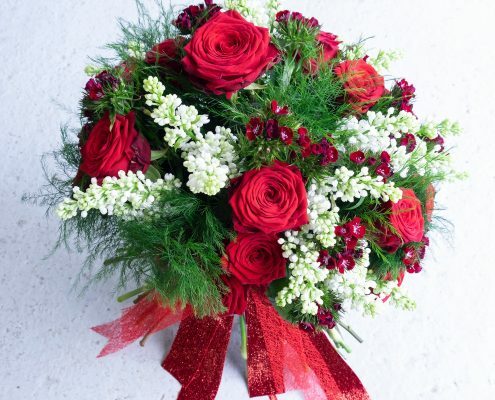 There are however, many more beautiful flowers that will impress your darling. Orchids make a stunning combination adding an exotic twist, while white lilac is pure, creates movement and has a heavenly aroma. Add a stem of eucalyptus for contemporary style but don’t worry if Red roses aren’t your thing, there are many beautiful flowers. 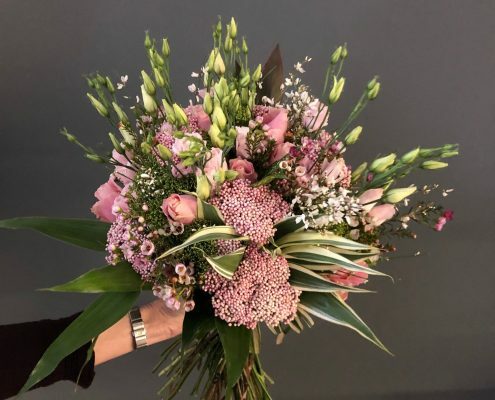 All of our bouquets and arrangements are unique and passionately arranged by our talented team working from our countryside studio. 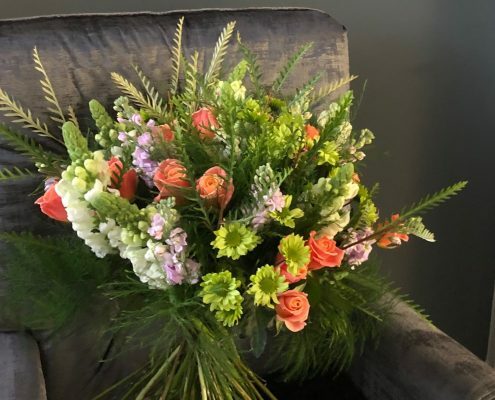 Our mission is to thrill you with flowers so quality is paramount on Valentines Day and for any occasion, wedding flowers, Mothers Day, or for a Corporate function. 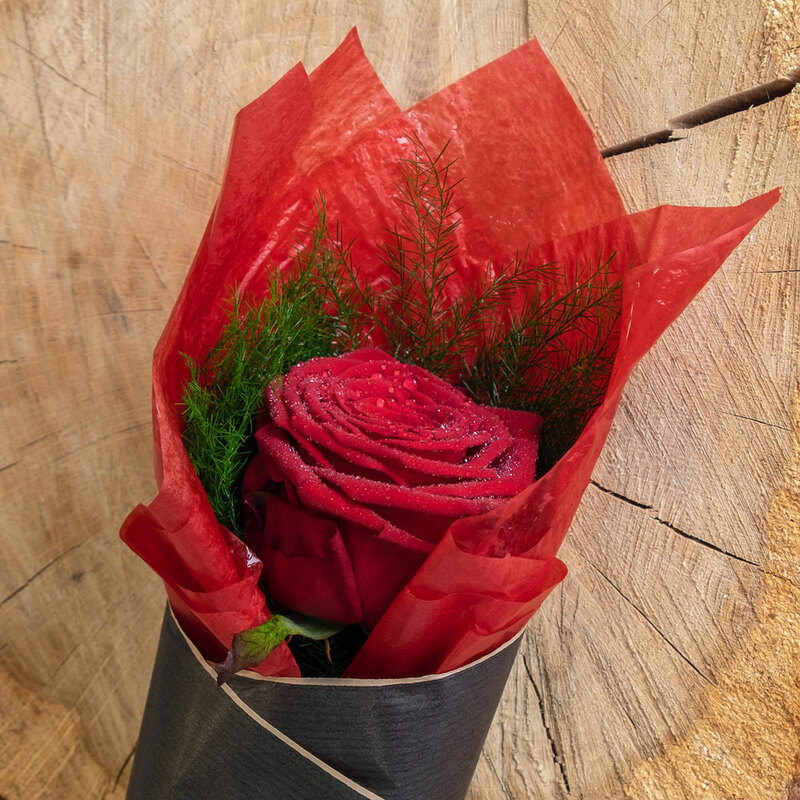 This Valentines Day, you can order anything from a single red rose to a luxurious signature bouquet, or leave it to us to make something truly unique. Our flowers are generously finished with luxury trimmings and a gift card which can be hand written with your message. Please let us have messages at the same time as your order. Please note if any flowers in the above bouquets are unavailable we will substitute with a product of similar value and type. If you would like something other than the items listed above our team will delight in creating a bespoke design for you. We are happy to discuss your requirements if you give Jilly a call. A luxurious hand tied bouquet of red roses, white lilac & sweet william. Beautifully heady fragrance and velvety soft roses. A gorgeous hand tied bouquet of coral roses, sweet scented stocks and pastel shades. Lovely sweet fragrance, feminine and a real show stopper. A hand tied bouquet inspired by Paris in springtime. Its pink roses, complimented with delicate greens, its fresh, feminine, young and fragrant.